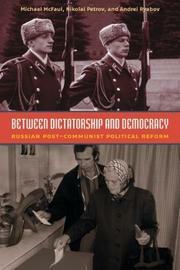 1 edition of Between Dictatorship and Democracy found in the catalog. Are you sure you want to remove Between Dictatorship and Democracy from your list? Published March 2004 by Carnegie Endowment for International Peace .